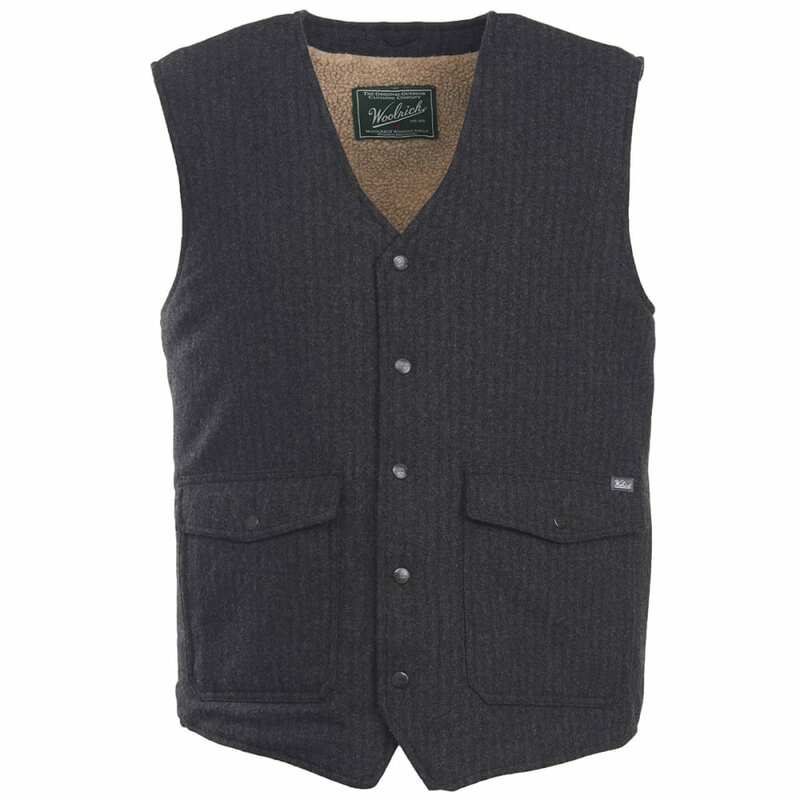 Inspired by American style of the '30s and '40s, and sewn from vintage wool patterns, Woolrich’s sturdy Teton Wool Vest keeps you warm to the core. Features zip-front, wool/nylon shell, and lush berber liner for warmth and comfort. Generous dual-entry pockets outside, large inside patch pocket plus zippered internal security pocket for your mobile device. Shell: 80% wool, 20% nylon yarn-dye twill weave, 7.9 oz. Liner: 86% poly, 14% acrylic Sherpa, 10 oz.